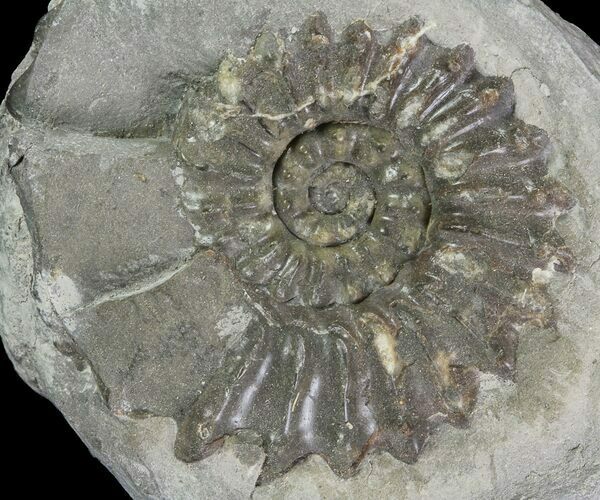 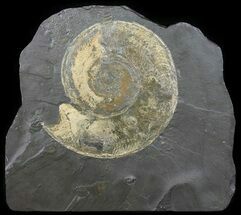 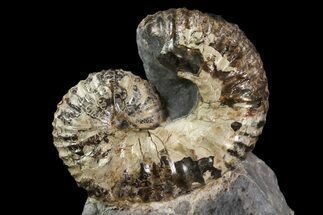 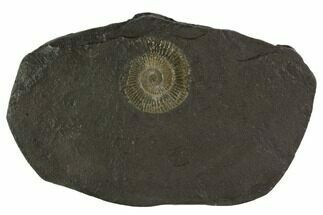 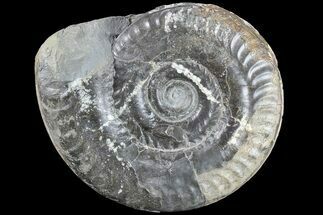 This is a Pleuroceras spinatum ammonite fossil from Buttenhaim, Germany with a dark brown shell. 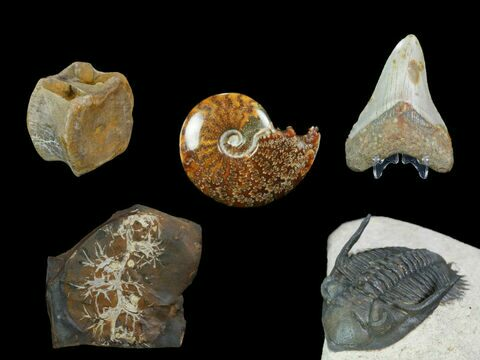 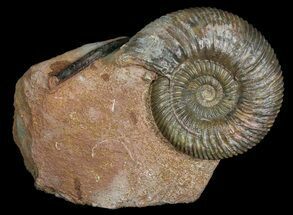 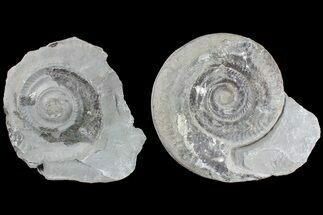 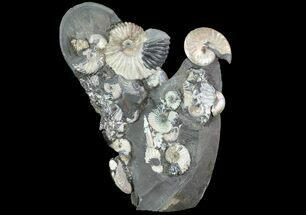 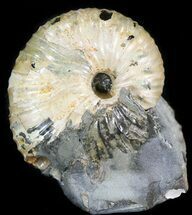 These ammonites are Lower Jurassic in age, approximately 185 million years old. 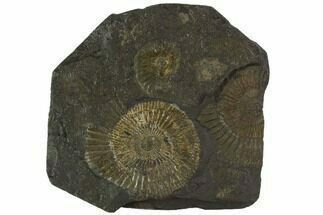 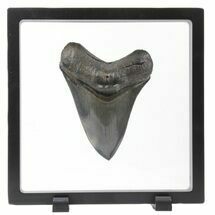 It's partially exposed inside of a concretion that was cracked open.